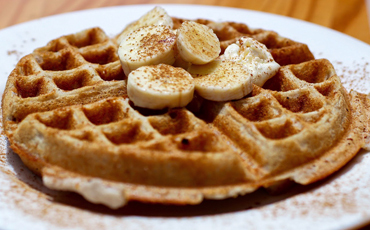 Gluten free Belgian style waffle with banana, cinnamon, vegan butter, and maple syrup. 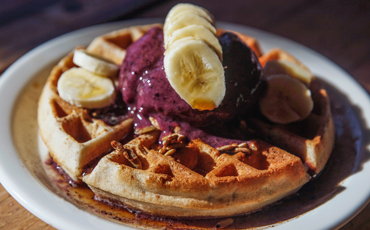 Gluten free Belgian style waffle with banana, cinnamon, vegan butter, house raw granola, açaí, and maple syrup. 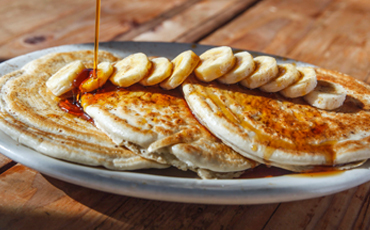 Gluten free pancakes with banana, cinnamon, vegan butter, and maple syrup.